When booking, please let us know if you’d like to bring your own rifle on safari. Visitors bringing firearms into South Africa for hunting purposes will be asked to fill in a SAP-520 Temporary Import Application. Noorsveld Safaris will provide you with the necessary forms and information to speed up the process. A copy of the abovementioned form can be downloaded from the SAPS website at www.saps.gov.za or from the PHASA website at www.professionalhunters.co.za. To speed up the process at the airport of entry, this application form can be filled in beforehand. Black ink must be used. Section D, E, G, I and J must be completed. Application form must be left unsigned until the document is finalized in front of the South African police official issuing the actual permit. This document may only be signed in the presence of a SAPS Official at either the O.R. Tambo (Johannesburg) or Cape Town International Airports. Motivation letter from client stating that he wants to apply for a Temporary Import Permit for his firearm for the exclusive purpose of hunting. 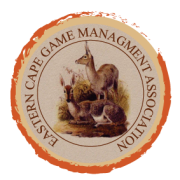 Letter of Invitation to hunt from the Outfitter which includes the full name (Noorsveld Safaris), full contact details, address, dates and location where the client will be hunting and confirming that the client will be using the specific firearm as applied for. Applicants are allowed two firearms maximum as long as the calibres differ. Possession of no more than the quantity of cartridges determined by the Registrar and specified on the Temporary Import Permit for each firearm. Firearms must bear the manufactured serial number and the identification number must be stamped on the barrel or the frame of the receiver. Handguns are allowed for hunting purposes. Hunters do not need to fill in the SAP-520 for a bow or crossbow. Please note that NO firearms will be held for safekeeping by the SAPS. If a client brings in a prohibited firearm, brings in more than is allowed, or lacks necessary documentation and his request for a temporary import permit is denied, the involved firearms must be exported immediately by the client or voluntarily surrendered to the State. Make sure when booking your airline tickets that your travel agent allows at least three hours’ time between the arrival of your international flight and the departures of your domestic flight to Port Elizabeth. This will give you sufficient time in hand to clear customs unhurriedly. Do not pay for any services regarding the handling of firearms at O.R. Tambo (Johannesburg) or Cape Town International Airports. The issuing of the SAP-520 is a free service and you are asked not to pay anyone involved in handling firearms from the time of arrival in South Africa right through until you receive your firearms and the permit from SAPS. However, there is a handling fee charged by airlines and/or security companies for the handling of handguns, and some airlines have started charging a handling fee of all firearms. We suggest that you check with the airlines for their official fees that may be required. Ensure that your firearm(s) arrive on the same flight as you do. This must be done with the airline company on departure. Your firearm(s) may only be signed for by you and will not be released to your outfitter or professional hunter should the firearm(s) arrive on a separate flight. If they do not arrive with the passenger, the passenger must proceed to his final destination in South Africa and apply at the closest police station for a Temporary Import Permit. When the Temporary Import Permit has been issued, the original permit with the keys to the rifle case must be couriered to the border post of entry. Thereafter, a transport agent with transport permit must be appointed by the passenger. This transport agent must have a letter from the passenger instructing him/her to transport the firearm(s) to the passenger in person. The firearm(s) will be inspected by the police at the port of entry and the firearm(s) and permit will be handed to the transporter to be transported to the passenger. Please note that NO firearms will be held for safekeeping by the SAPS. If a client brings in a prohibited firearm, or brings in more than what is allowed, or lacks the necessary documentation and his request for a temporary import permit is denied, the involved firearms must be exported immediately by the client or voluntarily surrendered to the state.